You got the dress, now is your chance to save on the rest! 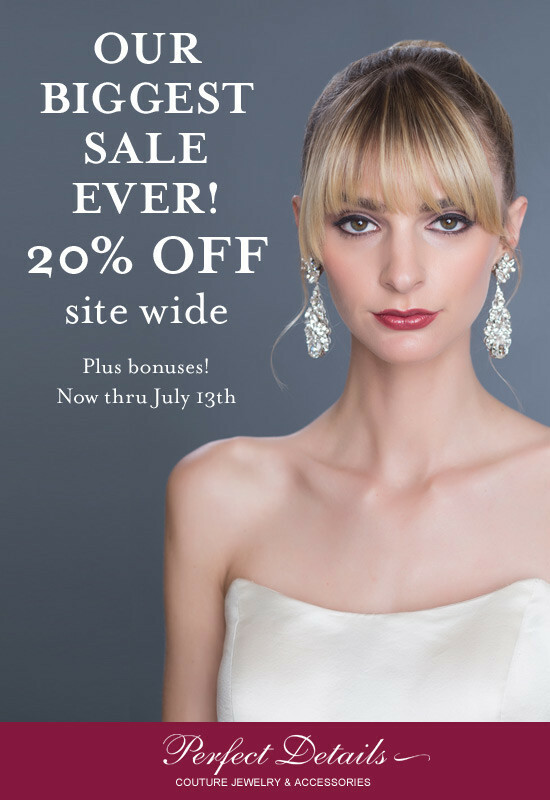 Find jewelry, headpieces, sashes & shoes galore from your favorite designers. Need help pulling your look together? Send a picture of your wedding dress to our style consultant Rachel Howard. Rachel or one of the members of her team are always glad to help.